What is a Speaking Book? Speaking Books has successfully created an effective means of presenting healthcare education and development issues by adapting to the culture, skills and needs of communities. Through our innovative approach, critical information is delivered in a relevant, interactive, educational way, arming communities with knowledge that can save and improve their lives. We focus specifically on three key areas of education. People with low literacy are less likely to understand directions by physicians, read and understand prescriptions, or be able to navigate the health system to get needed services. Low health literacy means people are 12-18 times more likely to confuse their medical regimen and therein more likely to suffer further affliction. 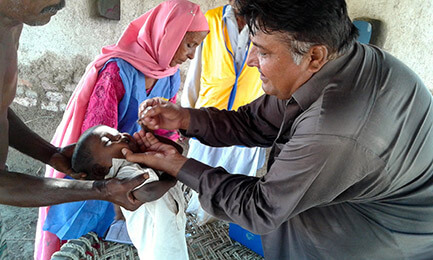 Disease spreads quickly in impoverished parts of the world, and sadly many of these diseases can be prevented with basic health education and simple preventative measures. 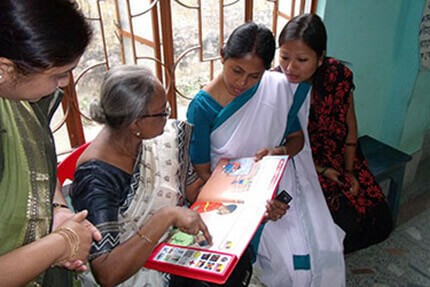 Life expectancy is lowest in communities where people cannot read. Working with organizations that focus on health education and disease prevention, we have developed Speaking Books across a variety of health topics ranging from physical ailments such as malaria, TB, HIV and AIDS, polio, and pneumonia, to mental health issues such as suicide prevention, sexual abuse, and coping with depression, and even cover topics such as what it means to be part of a clinical trial. For a full list of titles, visit our Library. 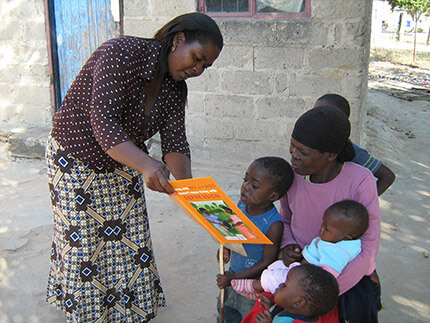 Through Speaking Books that educate low literacy communities on basic health issues, we hope to empower people to take their health and the health of their families into their own hands and to enable these communities to live healthier, more productive lives. Social Development means social inclusion, whereby all members of a community have access to critical aspects of society that can enhance their productivity and social wellbeing. In order to build a vital and prosperous society, people must be given an opportunity to learn about options available to them that can improve their lives and increase their human potential. Illiteracy is a huge barrier when it comes to social development and giving people access to services that can vastly advance their status. We have worked with several organizations to introduce Speaking Books that cover various development topics, including books that explain how to apply for government grants, a guide for orphans and vulnerable children, and how to build a drug free society. For a full list of titles, visit our Library. We continue to look for partners to address other critical areas and hope to develop more books in this area in the future, with topics such as job training, promoting peace, anti-bullying, and many more. What better way for children around the world to learn to read, than to have books that teach them the alphabet, then progressing to short words, and finally even short stories. We aim to work with organizations that are committed to improving literacy rates around the world and believe that Speaking Books is an innovative solution to facilitate teaching children to read. Most recently, in partnership with Sesame and USAID, we launched an alphabet book in Nigeria to teach children the look and pronounciation of each letter of the alphabet. Each letter has a corresponding story, illustration, and soundtrack, giving kids an opportunity to familiarize themselves with the alphabet as a first step towards literacy. We’re partnering with major organizations to develop a comprehensive global initiative to bring Alphabet Speaking Books to kids around the world.